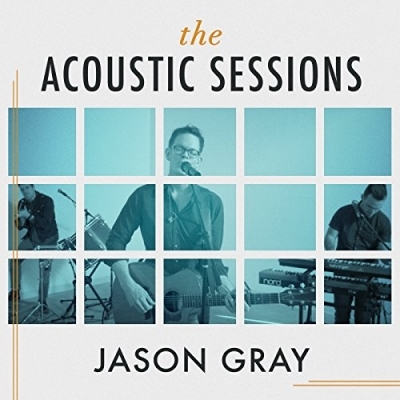 Earlier this year American singer/songwriter Jason Gray released his latest album 'Everything Sad Is Coming Untrue'. Louder Than The Music asked Jason about this superb album, plus his background story and what he has planned for the new year. How did you get into a career in music? Read More Earlier this year American singer/songwriter Jason Gray released his latest album 'Everything Sad Is Coming Untrue'. Louder Than The Music asked Jason about this superb album, plus his background story and what he has planned for the new year. Ever since I can remember I knew that music would be my vocation. I grew up on the road with my mom's bar band and so was always around music, however it was more than that that led me to music. I feel like it was just written into me, that it was God's plan for my life all along. Music is a language of the heart, it's able to get past our best defenses, and I've always been concerned with matters of the heart - even as a little boy. For instance, when all my friends were listening to AC/DC, I was listening to Simon & Garfunkel. Tell us a little bit about your latest album 'Everything Sad Is Coming Untrue' and what the inspiration behind it was? Well, the title was actually inspired by a passage from the Lord of The Rings, where Samwise wakes up to find that the worst that seemed inevitable in fact didn't happen. "What's happened to the world," he asks, "is everything sad going to come untrue?" The truth of those words rung so many bells inside of me... It's the hope of the gospel, the hope that no matter what happens to us, there isn't anything beyond God's redemptive reach to reclaim, redeem, and even make beautiful. This is a theme in a lot of my music - the way that God takes all our brokenness, weakness, failure, and tragedy uses these very things to build his Kingdom. It doesn't change the fact that sad things happen, but these things don't have to define, limit, or destroy our lives. Nothing is wasted. An obvious example in my own life is how God has uses my stuttering to reveal his grace. I used to think that my weaknesses limited me, and I meet people all the time who are afraid that their weaknesses disqualify them, but because of my own obvious weakness of a speech impediment, I get to talk with my audiences about how God calls us not in spite of our weakness, but because of it, since our weakness is where God's strength is perfected. Other themes I explore on the record are renewal, redemption, and confession. Which is your favourite track off your new album and why? I think 'Holding The Key' - it's the main song we wrote about confession. As a song I'm really grateful for how that one turned out - melodically, lyrically. It's also a theme that I'm eager to explore with my audience. I think most of us would prefer to keep our sin a private matter between us and God, but scripture is always reminding us that we need to bring other people into the conversation and to live in community, that in confession and community God gives us the keys to our freedom and wholeness. Besides all of that, I LOVE how the track turned out! It's got a cool vibe and I love the drum performance. Long and painful! :-) It usually takes me months to write a song. It starts with some idea that feels worthy of exploring to me, and then I'll start looking for a lyrical angle - a frame to hold the lyrical picture, and then I try to put it to music. I'm always looking for a new way to look at an old idea - I don't want to write about an idea that's already been written. My writing usually begins with the books I'm reading at the time. Which do you prefer playing live or recording albums? I love both for different reasons, but I guess I'd have to say that I'm a minister at heart and there are few things more rewarding than being before a group of people that God has entrusted you with, exploring the mysteries of God's grace together, sensing the Holy Spirit knitting our hearts and stories together in a common room. What advice would you give to any aspiring singer/songwriters out there, looking at starting a music career? My hero, Pierce Pettis, gave me the best advice: "If you can be happy doing anything else, do that instead." This work isn't for the faint of heart, it's very demanding, often discouraging. But if you realize there isn't anything else you could be happy doing, then you know that this must be what God created for, and so then you just have to figure out how to make it work, how to be faithful. Frederick Buechner has said that the place that God calls you to is where your deep gladness and the world's deep hunger meet. You're well known for your charitable work and you've made several visits to Africa, how did you become involved in that and why is it important to you? Years ago I began to be aware that our care for the poor is one of the most significant expressions of worship. It brings God pleasure, glory, and honor when we remember the poor. So much of our worship is consumer oriented, it's something we do for ourselves, because of how it makes us feel. I'm grateful for an expression of worship that is outward focused and that scripture assures us brings God joy. If what Jesus says is true, that the cup of cold water offered to the thirsty is received by Him, then we can understand that service to the poor is a ministry to Christ - it occurs to me that it's the closest we can come to giving anything in return for all that Christ has done for us. It is a worthy offering. If you could work with any musician in the world, who would it be and why? I'm fortunate that I've been able to work with most of my heroes, so I'm really quite content. Though it would be a kick to work with Daniel Lanois, the super-producer of the best records by U2, Bob Dylan, Peter Gabriel, and others. 'Take It When I Go' by Tom Waits. What does the next year hold for Jason Gray? Anyone who's hung out with me knows that I LOVE to share music I'm really into. If I'm excited about a new record, I'll tell everyone about it and I'm always saying, "you gotta hear this!" In the spirit of that, there is talk of me doing an EP of cover songs that have meant a lot to me over the years. I might be doing a Christmas record, too. I'm also beginning to write and seek God about my next project. I've got a couple ideas that I'm really excited about! Our latest video of the week is from the brilliant Jason Gray, with the song 'I Am New', taken from his album 'Everything Sad Is Coming Untrue'.